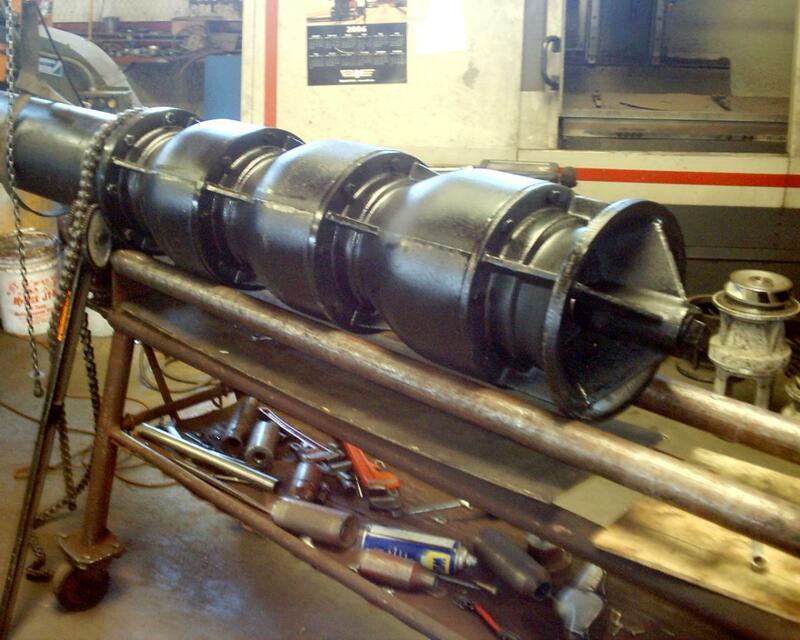 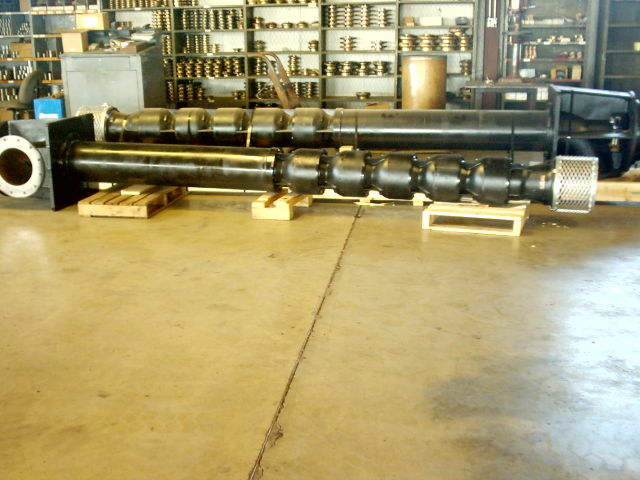 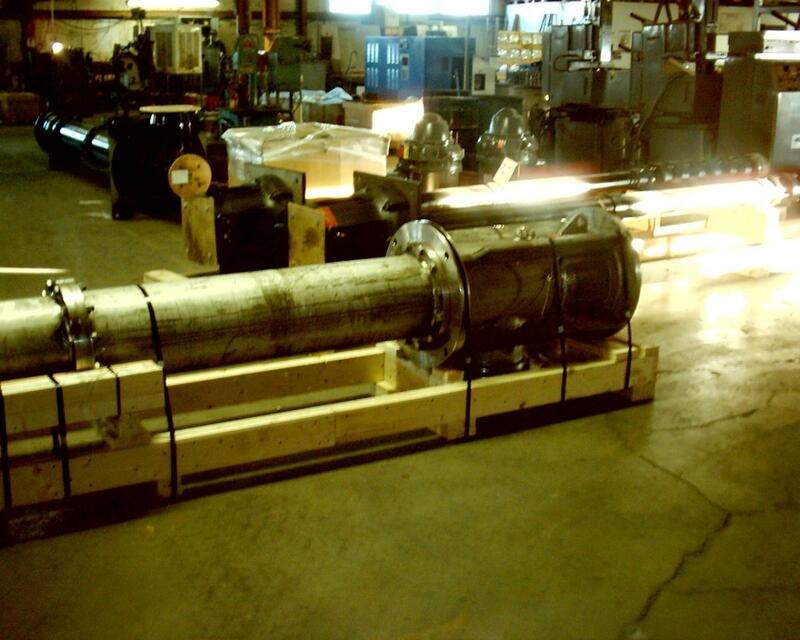 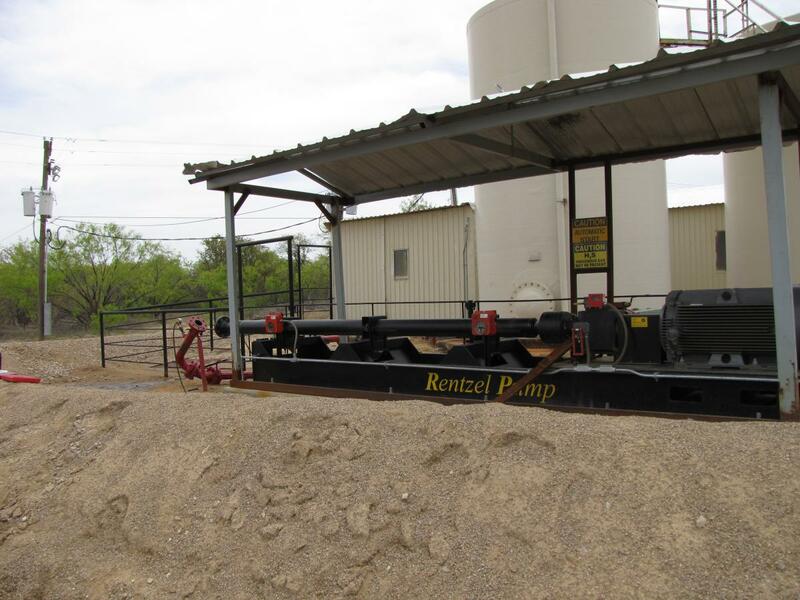 Rentzel Pump Manufacturing has been providing customers with the best equipment in its class for over 75 years. 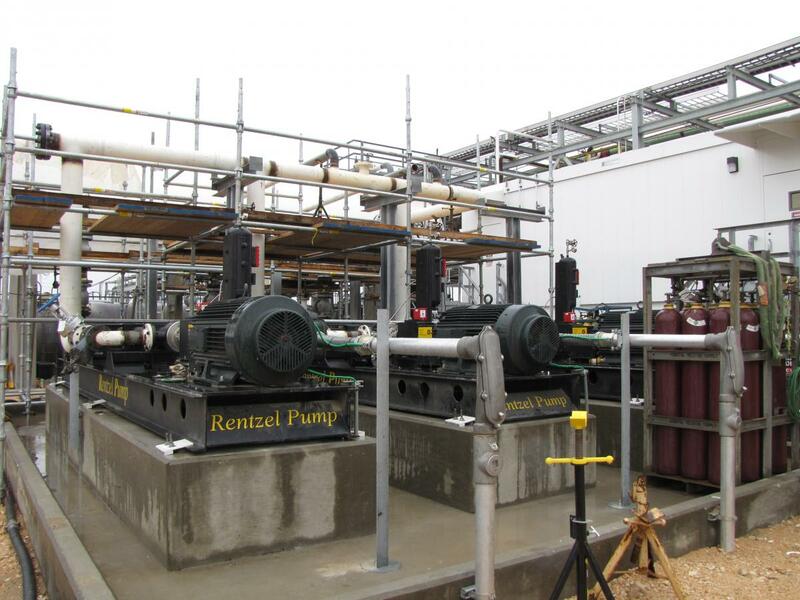 Increasing reliability while decreasing our customers overall cost of ownership is just one of the ways Rentzel Pump Manufacturing can help. 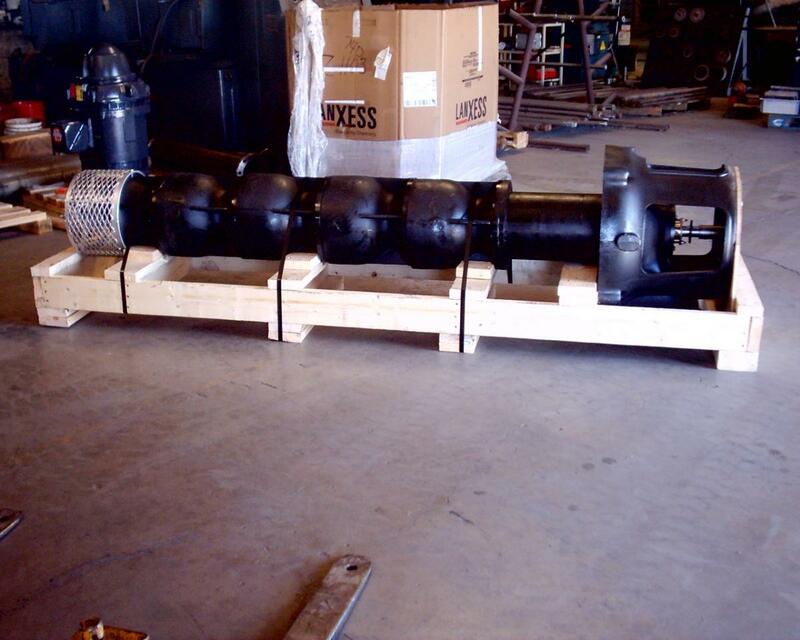 30 ft. to 3,300 ft.
Rentzel Pump Manufacturing pumps undergo a rigorous inspection process throughout the entire manufacturing process. 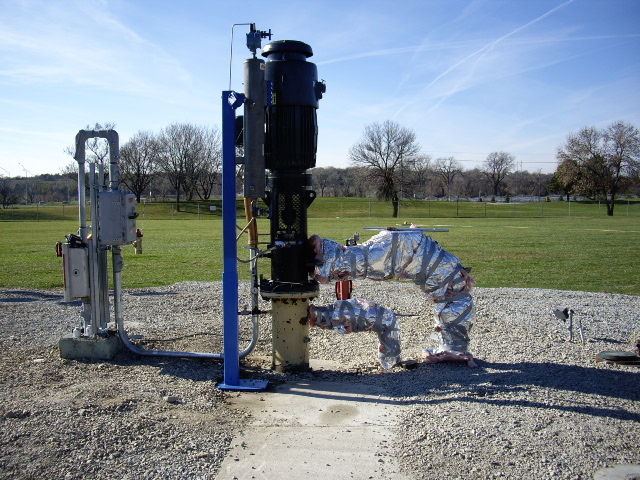 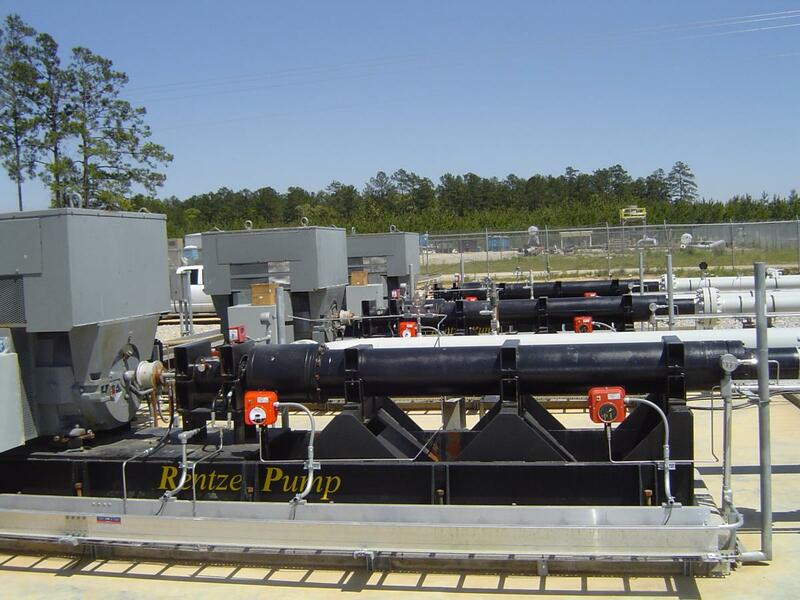 With 90% of the entire product line manufactured in house by Rentzel Pump employees we can decrease delivery time, provide the highest quality of product, and reduce cost to the customer. 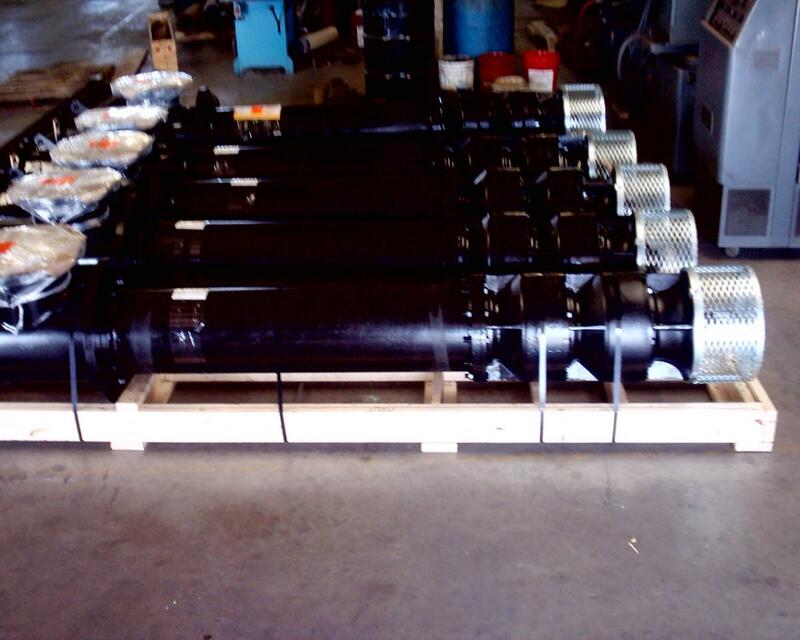 Largest range of metallurgies from ductile iron, Nickel Aluminum Bronze, 316SS, Super Duplex to White Iron available ensures we have a pump for all services. 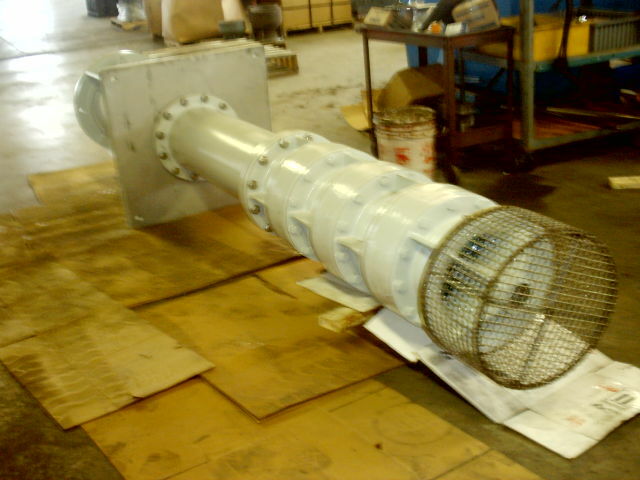 316 Stainless Construction with Adjustable Arc. 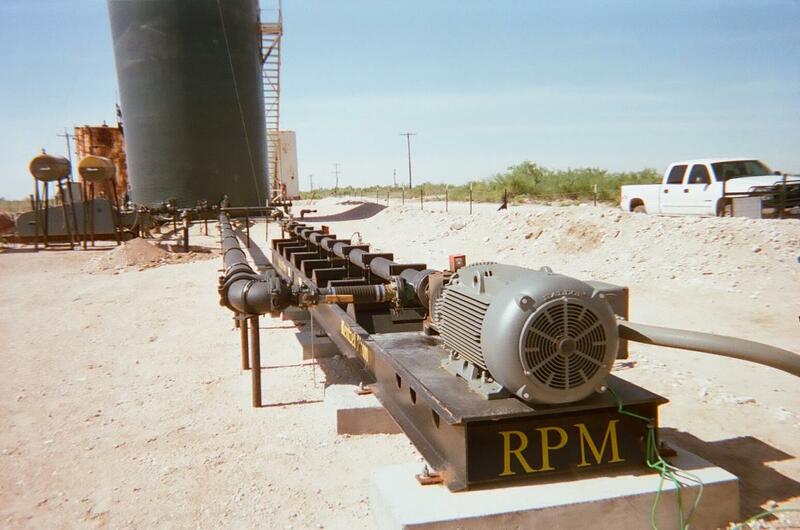 30 ft. to 6,600 ft.
Rentzel Pump manufactures and fabricates everything supplied on a system with exception to the driver, controller, and Mechanical Seals. 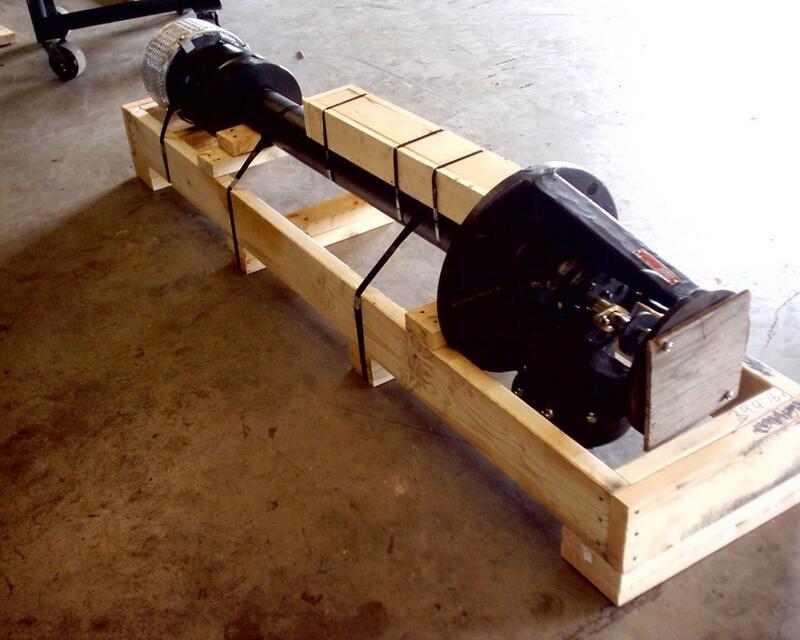 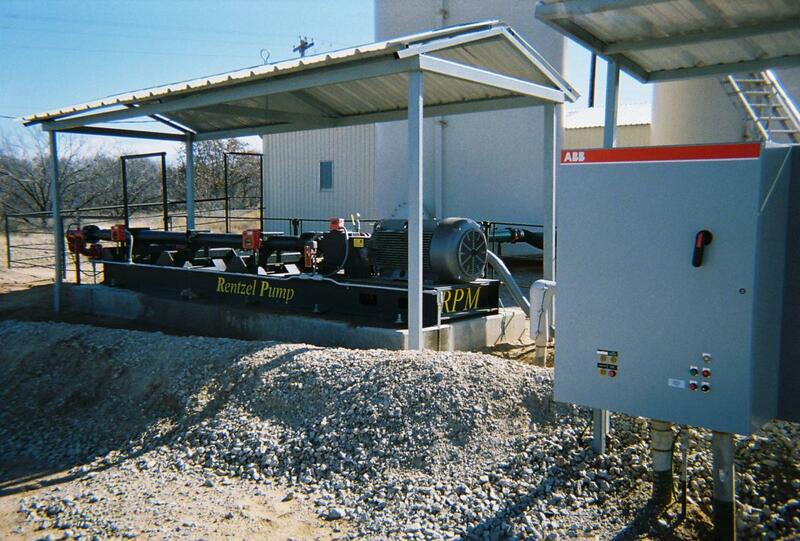 This allows Rentzel Pump to control and manage deliveries for customers in need. 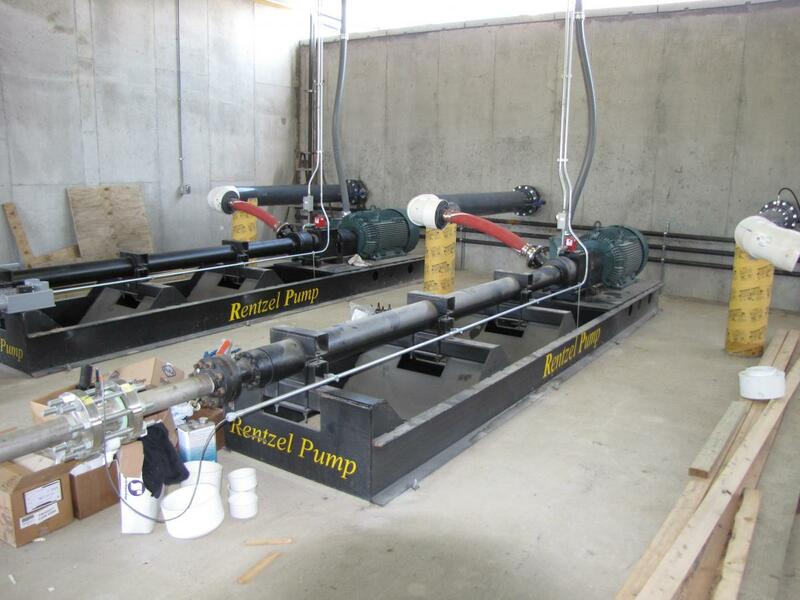 Rentzel Pump has designed the skid with adaptability in mind. 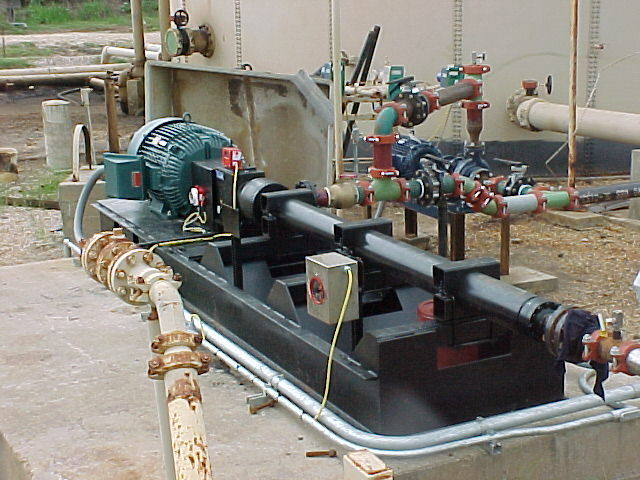 Increasing motor sizes in the field and increasing pump diameter allow for Rentzel Pump skids to be the most flexible in the industry. 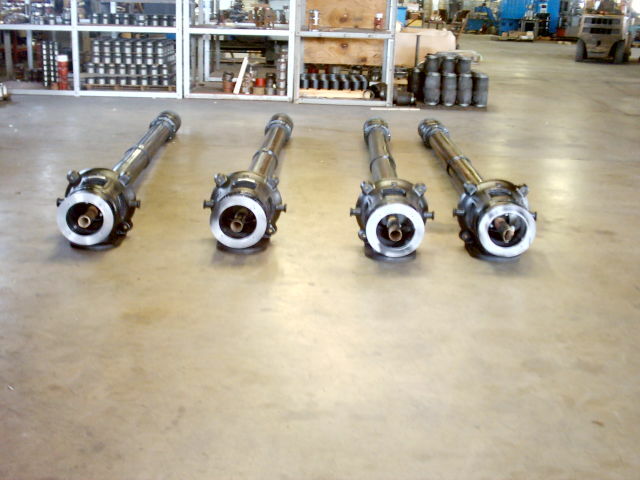 Rentzel Pump has the ability to adapt to our competitors skids with a large range of couplings and adapters in stock for quick modifications. 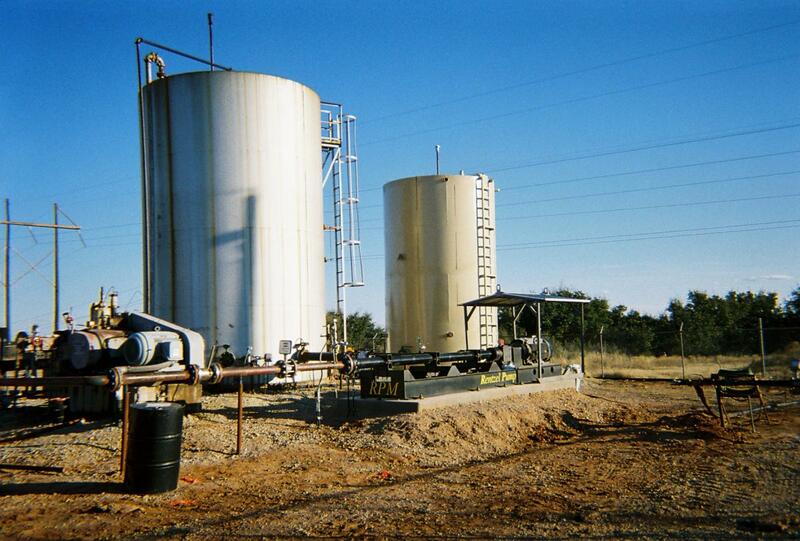 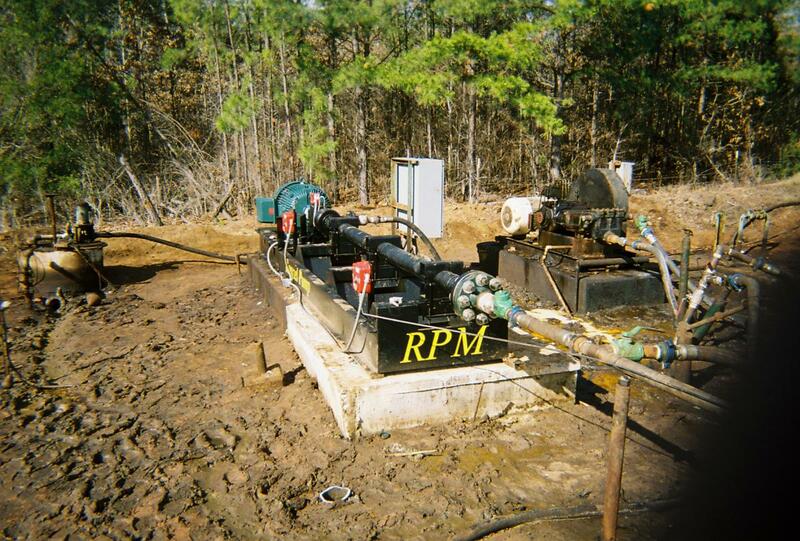 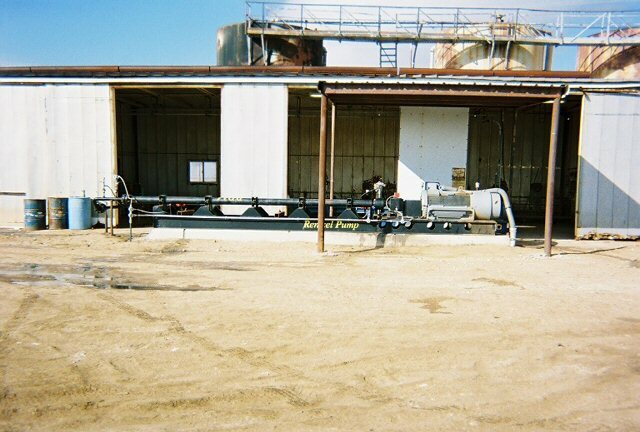 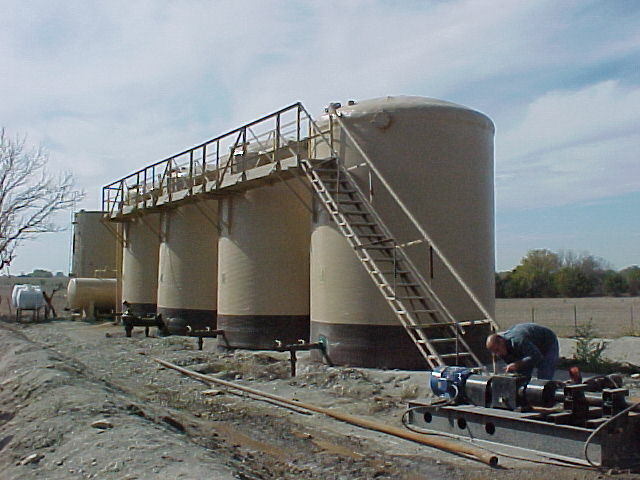 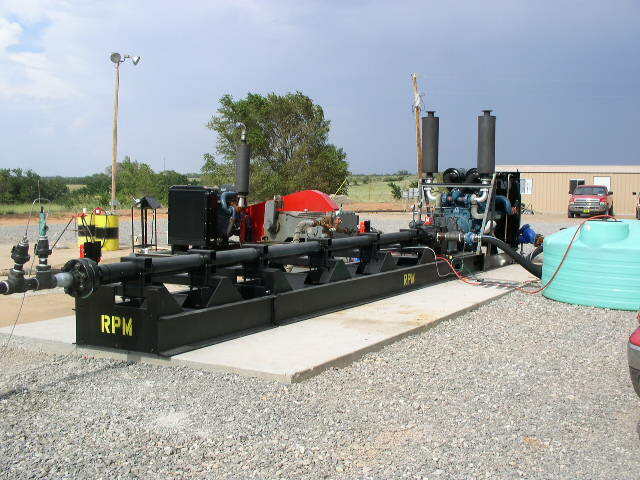 Rentzel Pump service techs are specifically trained on Horizontal equipment. 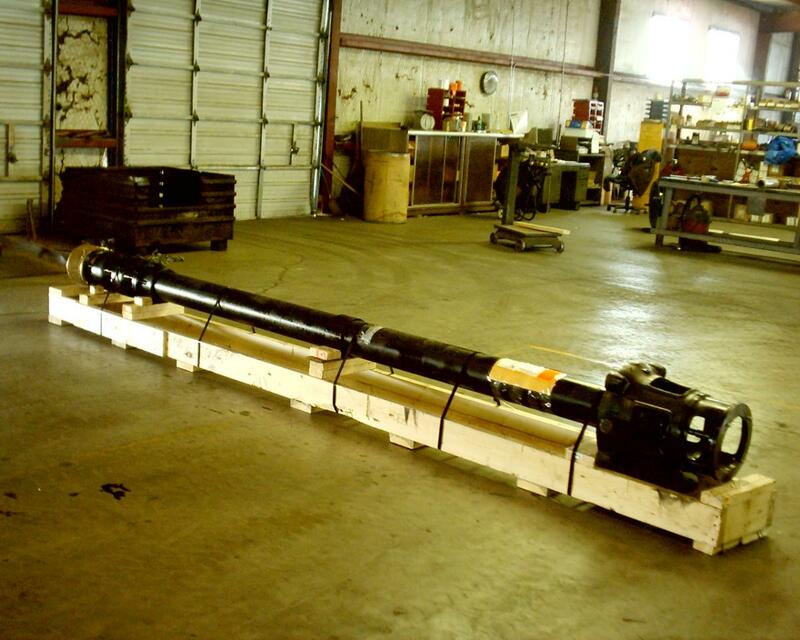 Our technicians work on assembly of Skids, Pumps, and Thrust Load Protectors in the shop giving them invaluable knowledge for the field. 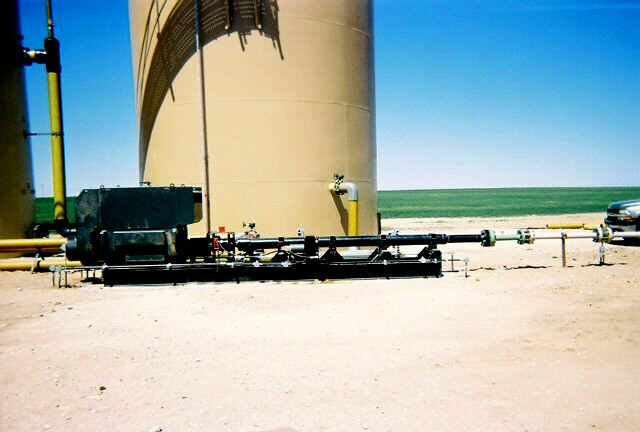 Understanding of how the equipment works lets them troubleshoot problems, evaluate, and make recommendations and repairs if possible in the field. 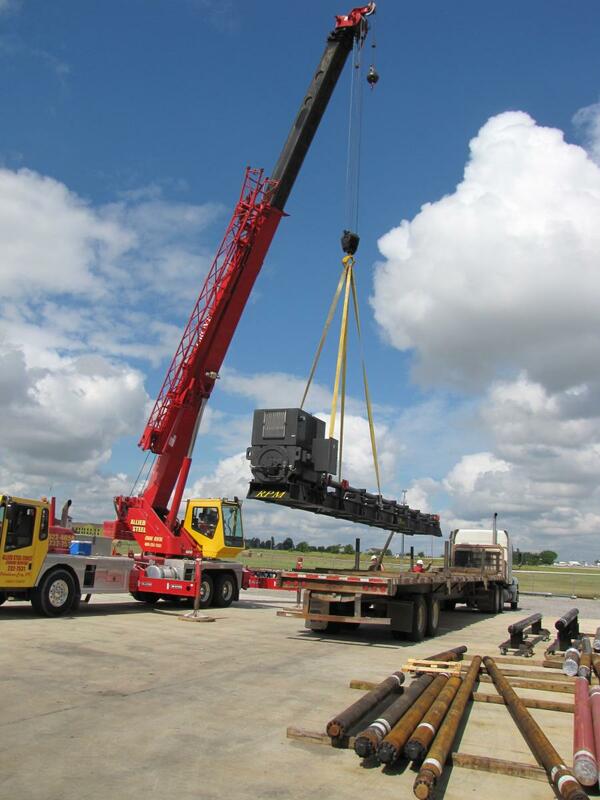 Our Service techs are available to work with the customers on operation and maintenance of their units to ensure that they have the best product and customer service available. 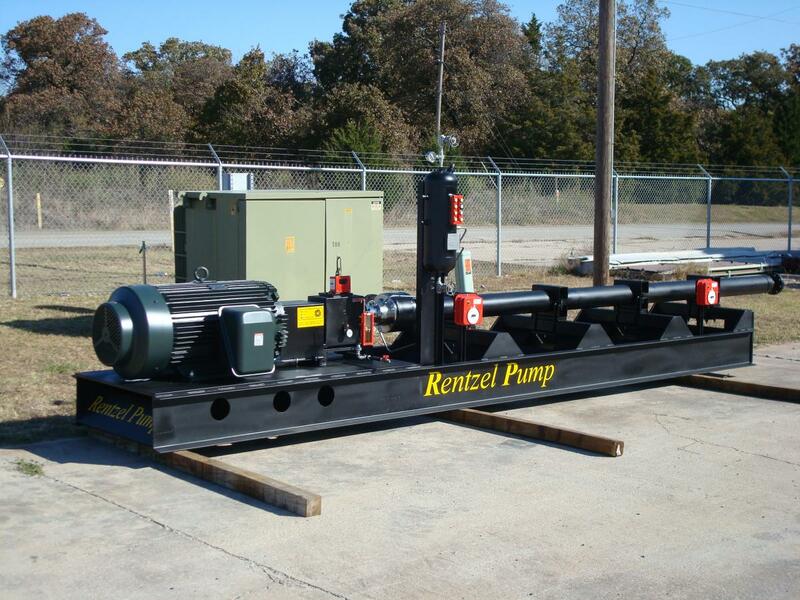 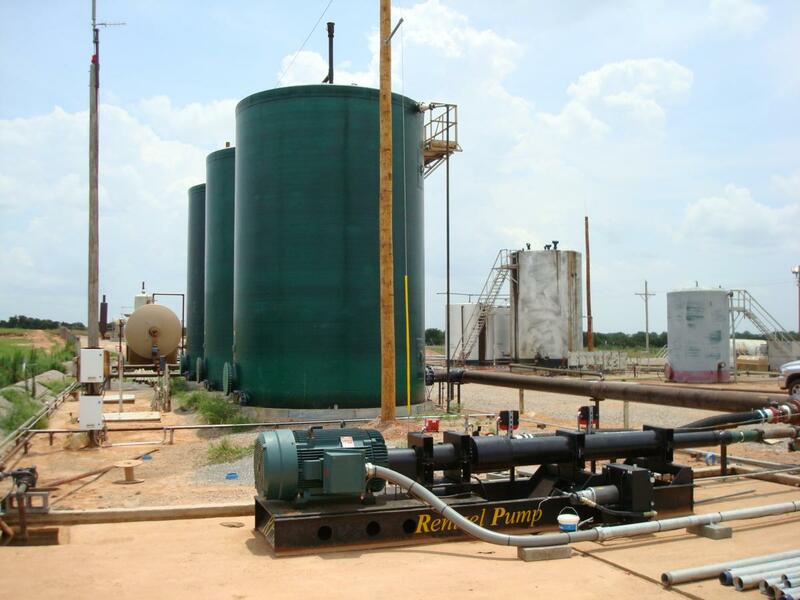 Rentzel Pump is dedicated to providing the best possible service and product in the industry, reduce our customers overall cost of ownership while providing the most reliable equipment in the industry. 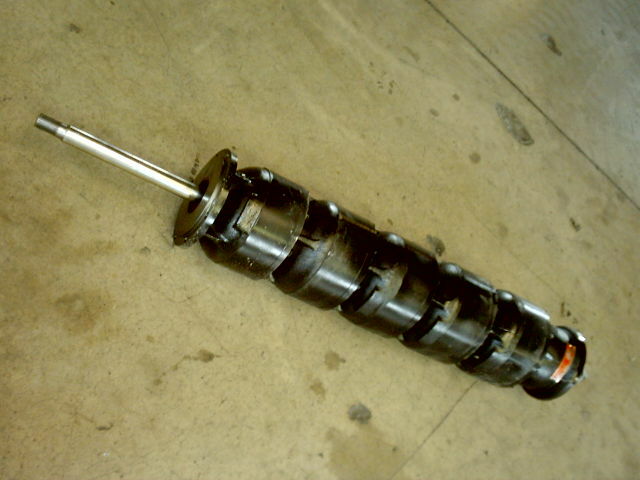 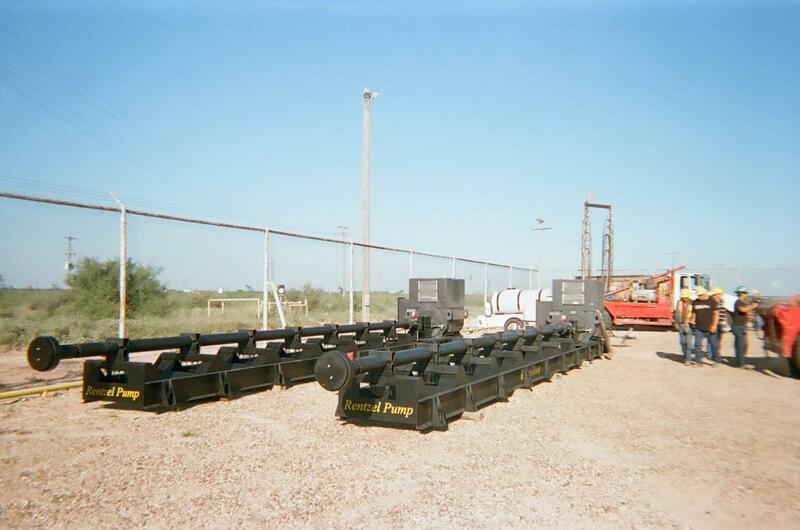 Designed for extreme conditions to ensure alignment under all weather conditions. 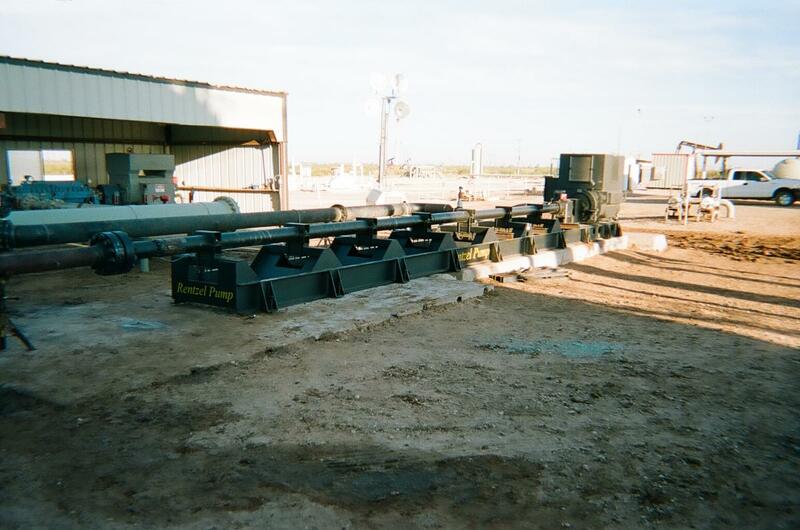 Most Rigid Skid design in the industry to reduce vibration and ensure a true alignment. 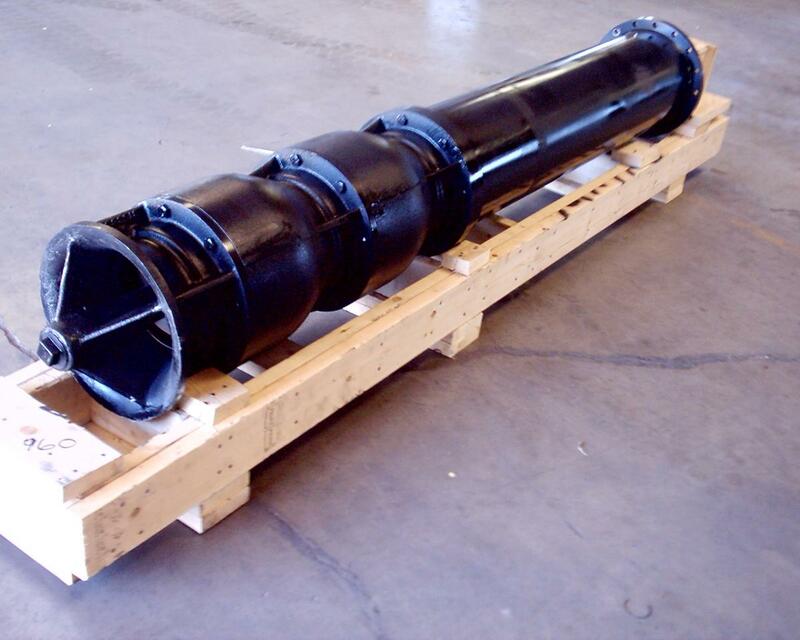 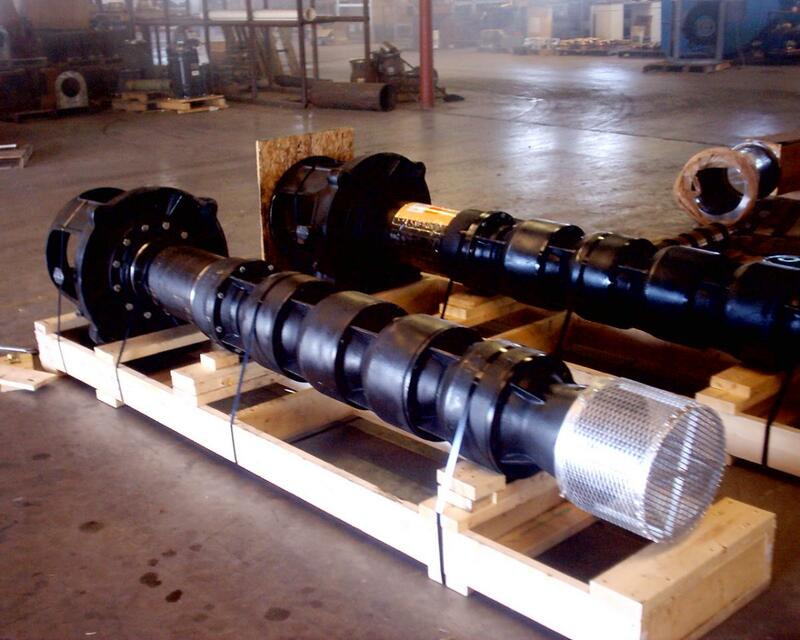 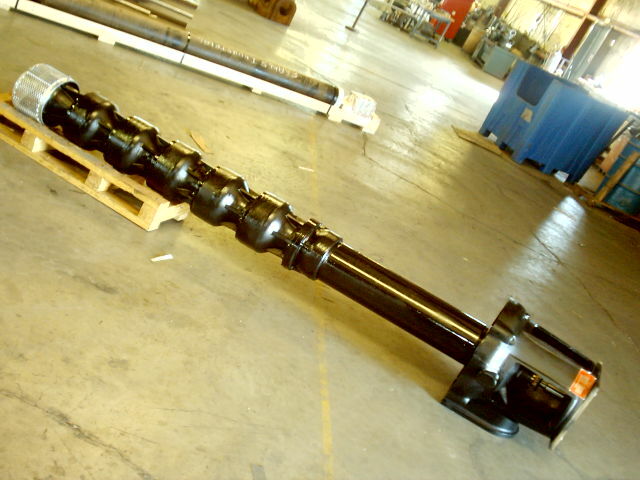 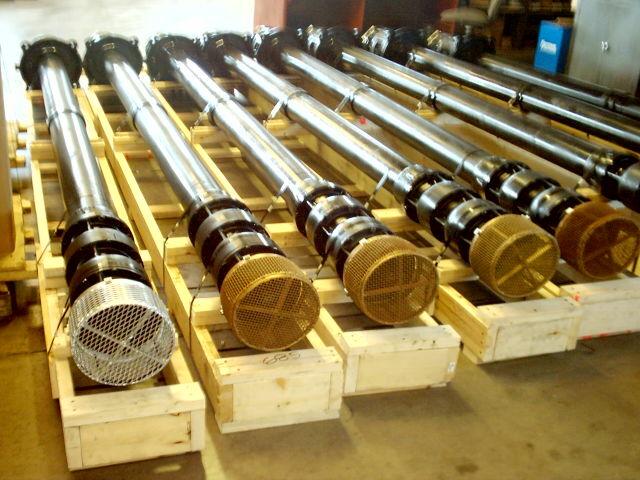 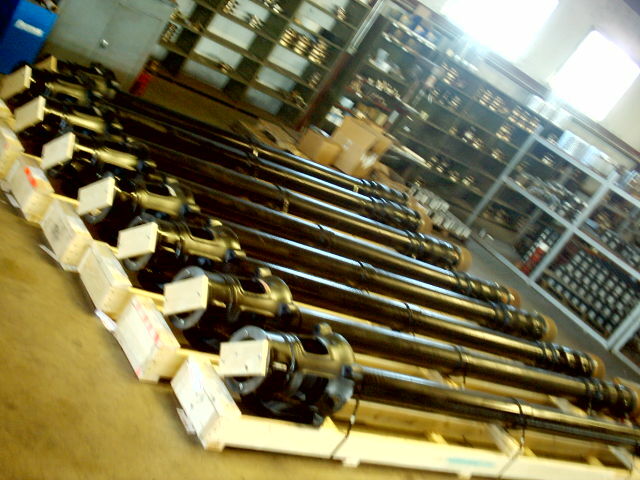 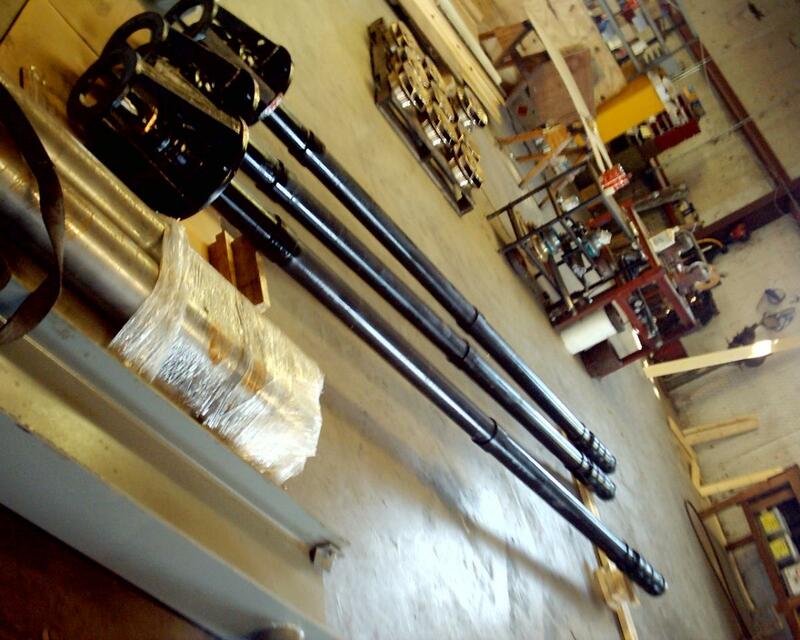 Standard, Heavy Duty, and Enhanced designs from 6000lbs to 40000lbs. 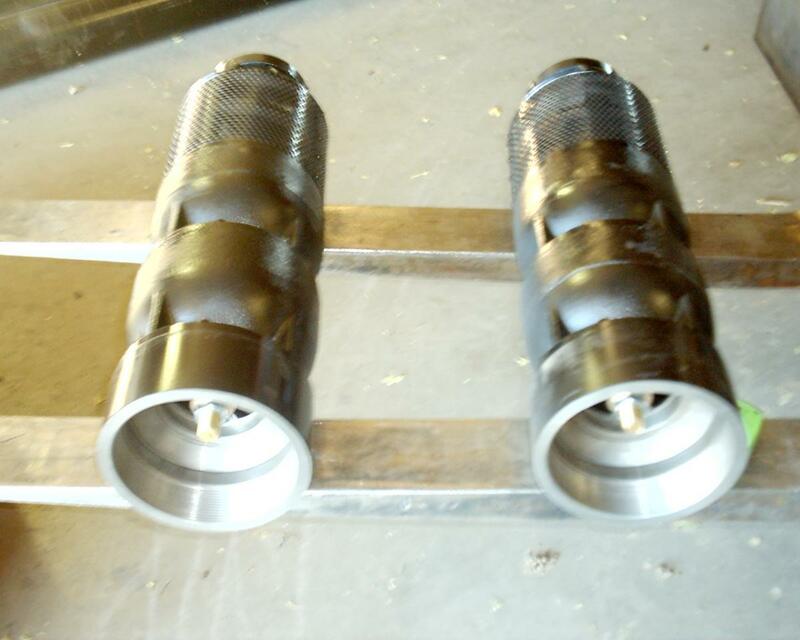 Heavy foot mounted design for true alignment and rigid design. 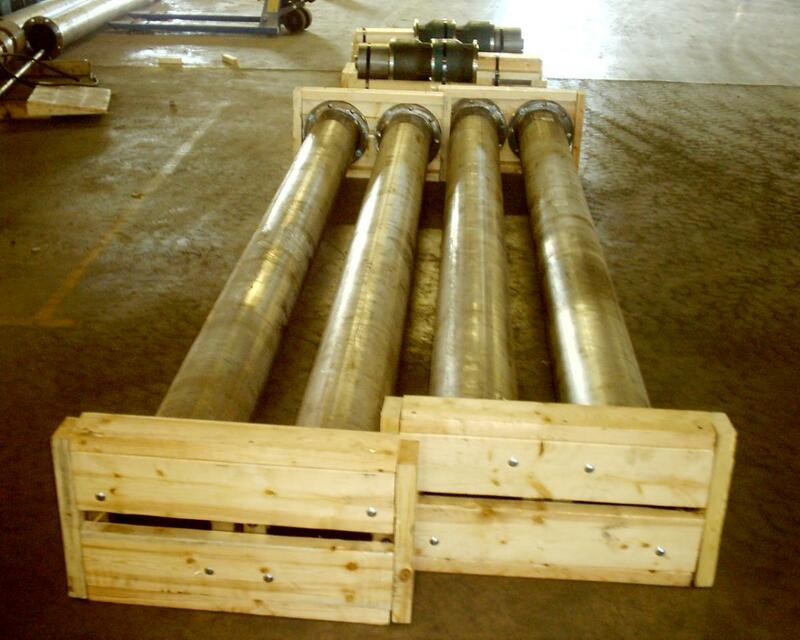 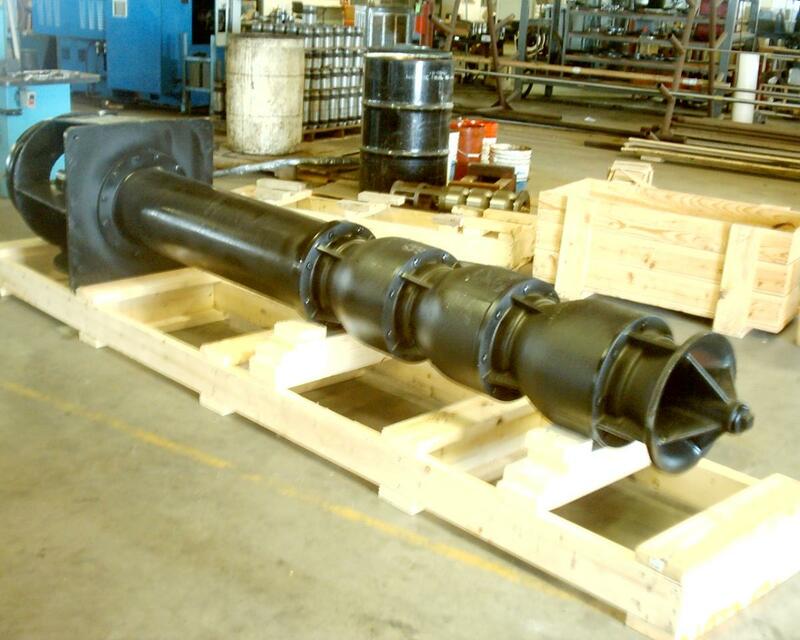 Rentzel Pump Fabricates all Intakes and Discharges in a wide range of metallurgies and designs from weld neck to lap joint RF to Bolt on Threaded Discharge designs.